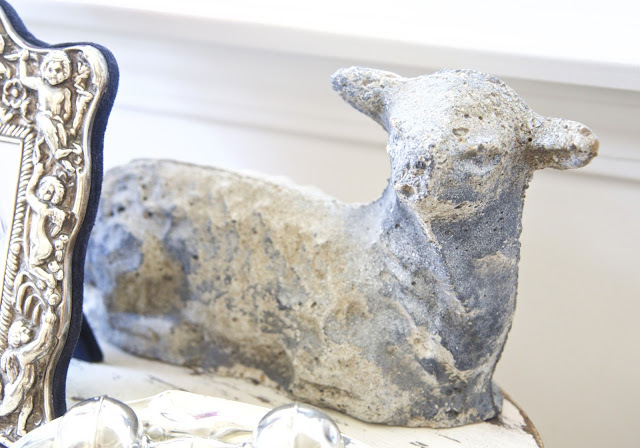 I found this lovely lamb at an antique shop in Los Angeles. 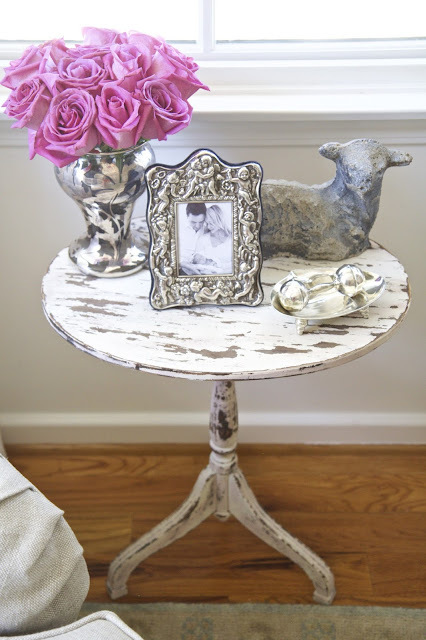 Its concrete texture and washed-out blue color gives the side table a sophisticated edge while still remaining sweet and childlike. 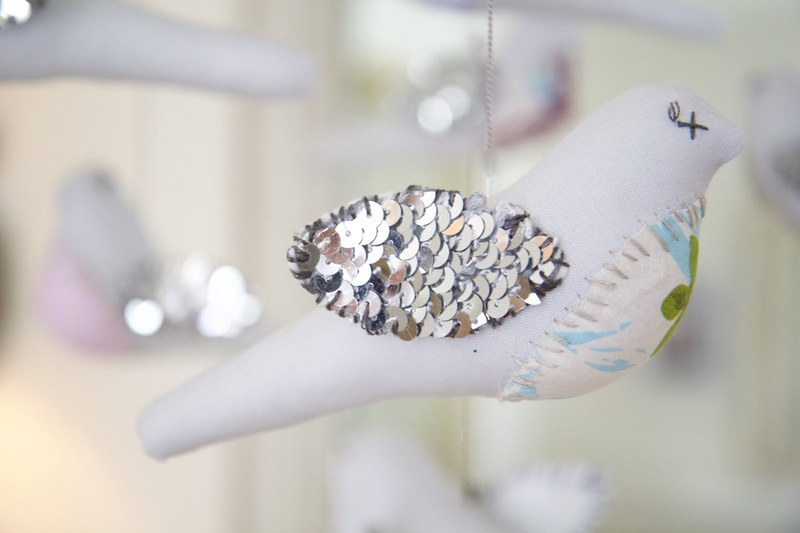 A silver clam shell holds a silver rattle. This changing table topper and pillow was all we needed to transform this chest of drawers into a changing table. 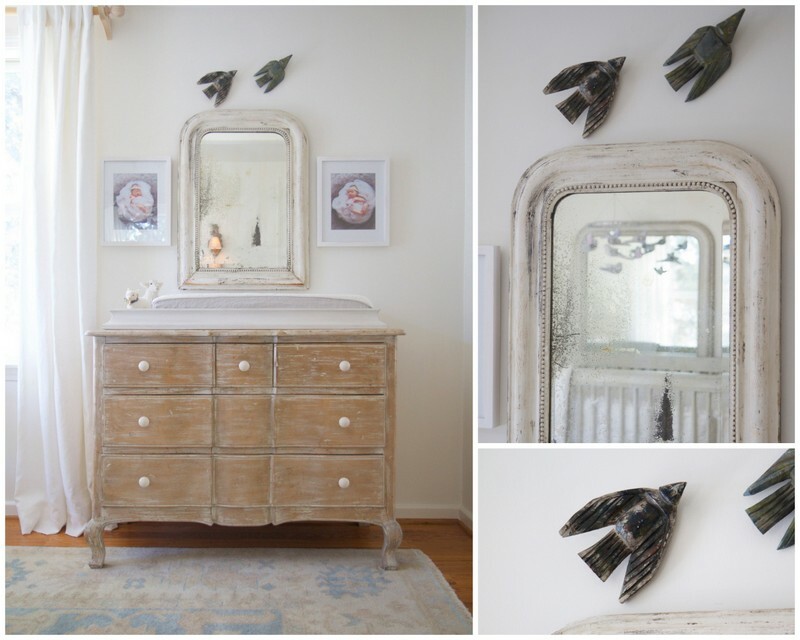 These Mexican folk art birds, carved of wood and painted a deep blue, fly over the antique beaded mirror. A sheep and her lamb graze the space next to the changing pillow. 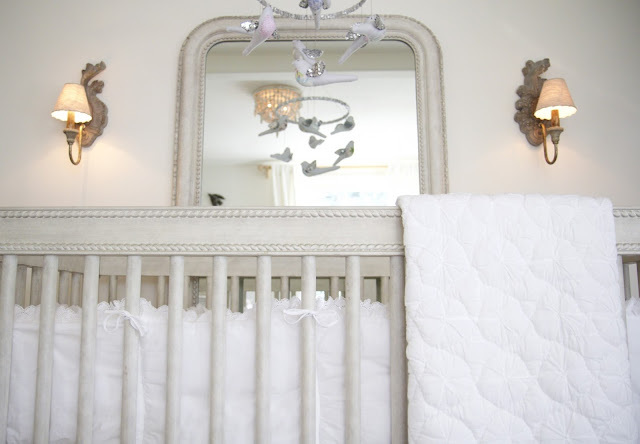 Gray and white hues dominate the crib vignette. All white linen bedding gives the crib simplicity and a cloud-like appearance. 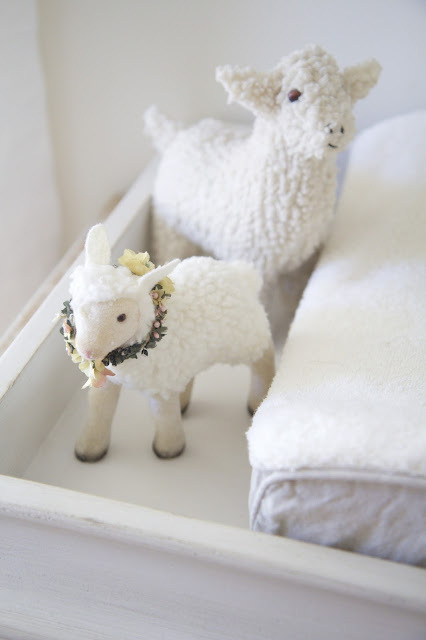 A soft lamb and vintage duck patiently wait to be noticed by our little one. I love the pinwheel design on this white quilt. The bumper with lace trimming was made by my mother when I was a baby. 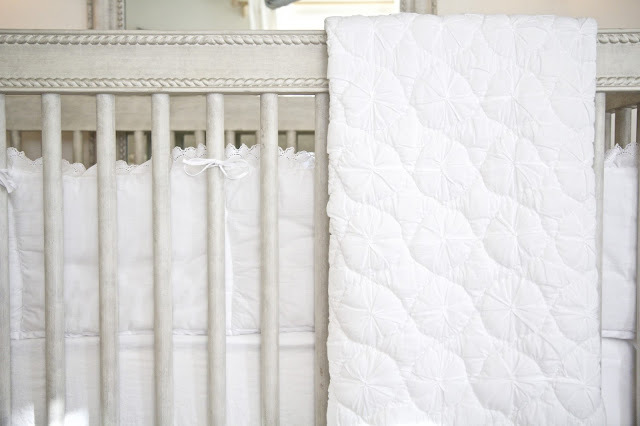 Note to new parents with infants: For safety reasons, this bumper and quilt are for decoration only; not to be used while baby is in the crib. These gray linen birds, handmade by my mother, fly over my daughter's crib in baby mobile form. Each bird's wings are stitched with silver, glittery sequins. 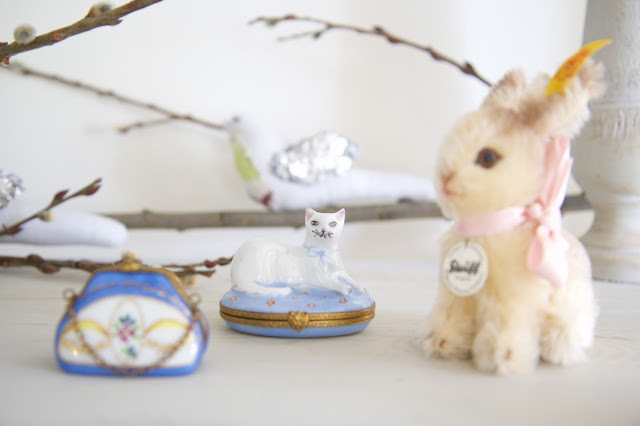 Limoges boxes of a purse and cat hang out with a little Steiff bunny on the bookshelf. 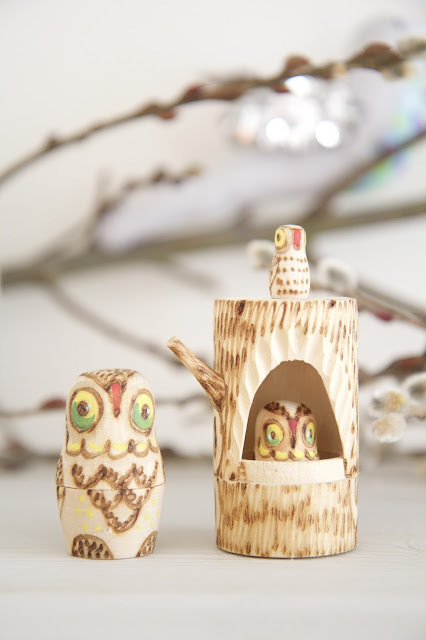 Nesting owls peer out from their tree trunk. 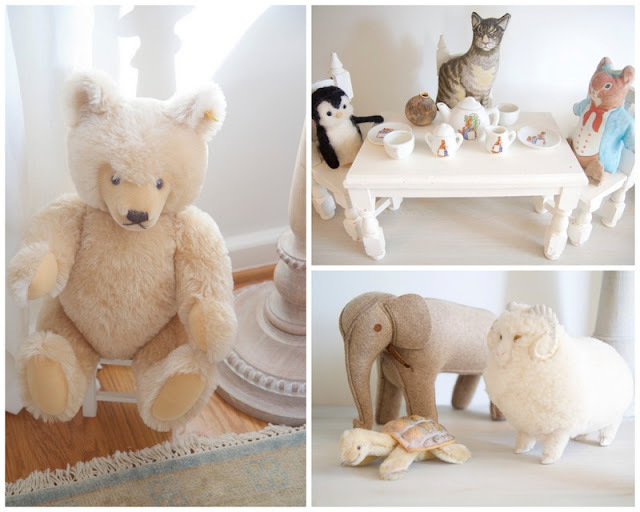 Welcome to a child's world...where a penguin, a cat, and a mouse take a spot of tea together :). I originally made this clover herbarium for St. Patrick's Day (see how!) when the freshly cut clovers were bright green. 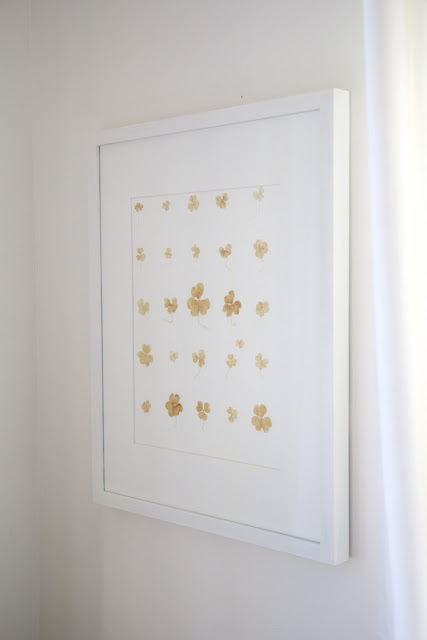 Now that the clovers haven taken on a sepia color, they are perfect for the nursery. Sconces, a flushmount chandelier, and a lamp give the nursery a warm glow. 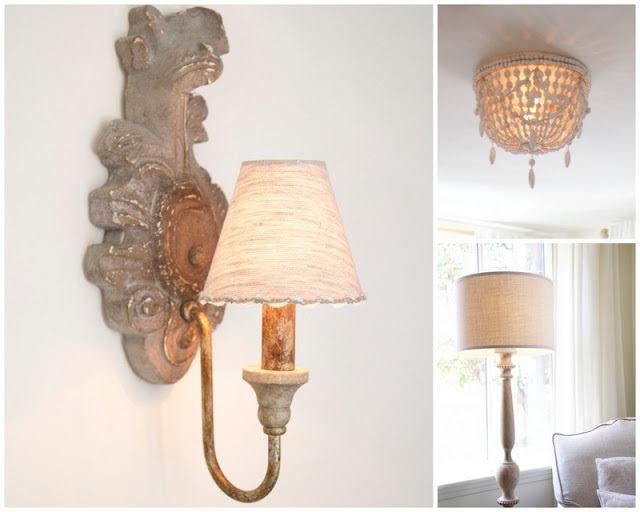 For the perfect amount of light at any given time, we installed dimmers on the light fixtures. 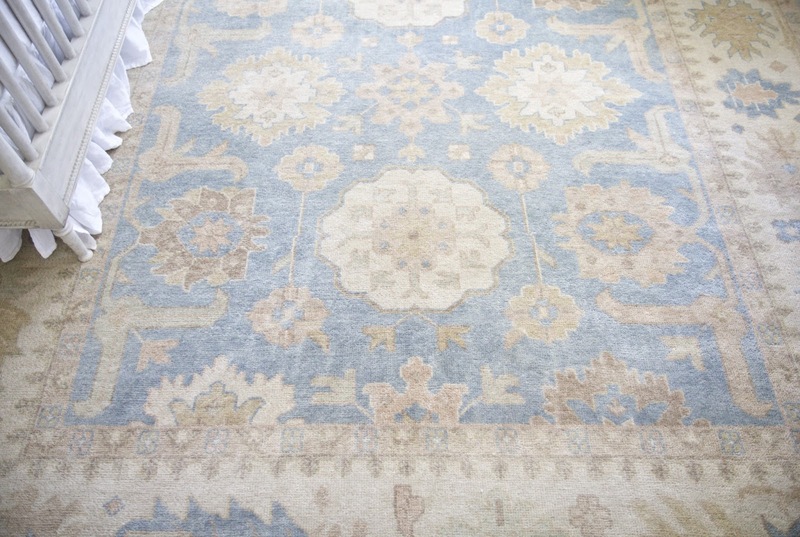 This blue and cream rug ties the space together and provides a soft surface for our little girl to play. I hope you enjoyed the details of the nursery! 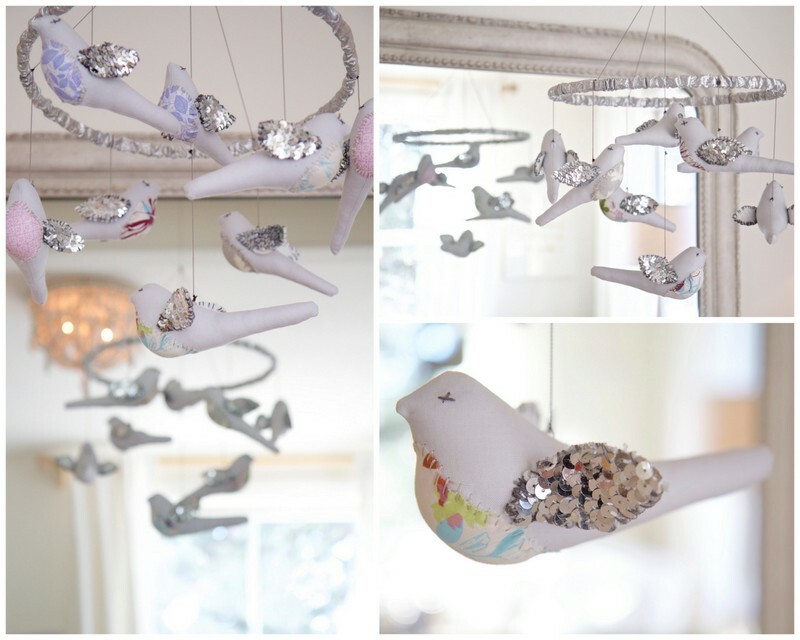 For an overview, see Nursery in the Nest. Up next week: See what baby tools (such as bouncers, breastfeeding pillows, and yoga balls) come in neutral colors for your home. Thanks for visiting!